The RaspberryPi Foundation, which aims to put computers in front of children for £15, has taken delivery of 50 engineering prototypes, and intends to get the final version to customers by the end of the year. Based in Cambridge and founded by six high-tech high-flyers, the foundation’s aim is to cure the programmer shortage by inspiring people to take up computing in childhood – as Sinclair Spectrums and BBC Micros once did. Now this snowbank computer that I am using to write this has 512 megs of RAM, 128 meg video card, and a 300 Gig SATA hard disk, and two DVD drives. It is a Dell Dimension XPS just barely 5 years old when I found it (I would never have spent this much money on a computer when it was purchased new). Recent rejects that I have had all have SATA drives and at least one gig of memory. Again these computers were running too slow so the owner bought a new one. These poor souls just can’t convert to Linux and so they keep on paying. I get their rejects. My mom is running Linux on one of them. I’ll be the first to admit that while I like Chromebooks, I own a Samsung Series 5, Chromebooks also have serious problems. Still, the Chromebook is far from being dead. Speak to a mobile analyst and it’s not uncommon to hear comments such as “the future is Android” banded about. Speak to an open source convert about cloud computing and you might hear “Linux modularity is a killer for cloud” spoken. Google that last comment now and you’ll get this blog, Google it in eighteen months and you just might get a few more hits. For data sensitive enough to warrant encryption, a tool like TrueCrypt is a great solution. The app creates and encrypted file container of any size on your hard drive or on an external drive. Once mounted using a super-strong password of your own choosing, files can come and go as you please. Once dismounted, they’re locked behind a virtually impenetrable wall of encryption. Martin Gräßlin has successfully boosted the performance of KDE’s KWin for the upcoming 4.7.2 point release and more so for the KDE SC 4.8 release. This is an attempt to make the KWin compositing window manager handle rendering at sixty frames per second, which it hasn’t been able to scale to that frame-rate due to deficiencies in the project’s code-paths. There have been some rather interesting announcements from the KDE community that give an idea of where the desktop environment is headed. In very short, KDE Frameworks 5.0 will begin development soon! There are strong signs that Red Hat is approaching the next wave of its considerably successful business story. As CEO Jim Whitehurst has noted, virtualization is emerging as a big concern for the company going forward, as it increasingly squares off with VMware in that space. And recently, although his position is arguable, he contended that both the PC and fat client operating systems are headed for obsolescence. But let’s not forget that Red Hat is an operating system-centric company, and it can take lessons from other technology companies that have specialized in operating systems, including Microsoft and Apple. Those companies have always kept close ties with customers when it comes to additions to operating system updates, and Red Hat is taking that job seriously, too. Tried Unity, Unity 2D and GNOME3 today. Removed each after less than 0.5h of playing with them. In June this year, Eclipse, a popular IDE, published the results of a global survey of its community, which aims to show how people are using Eclipse and other open source software (OSS), and participating in open source communities. The purpose was to create a profile of how open source developers interact with the community. Incidentally, the Eclipse developer survey had the fourth highest number of respondents from India. Yes there will be a few tweaks here and there; however there won’t be huge changes. It’s pretty cool too- seems that the OS is so complete that there aren’t any major upgrades that we have to wait for. Android-x86 2.3 RC1 (Test build 20110828) is released. My blog is powered by WordPress. WordPress remains at its core a monstrous amalgamation of PHP spaghetti code. Thus, despite the fact that WordPress is free (beer+speech), easy to use, well supported, well documented, and all that jazz… it still pains my hacker sensibilities to use it. For similar reasons, a lot of hacker types are moving away from WordPress and similar blog software to static site generators like jekyll. The Veterans Affairs Department is set to make its open source agent operational tomorrow and make available the software code of various applications in the electronic health records of VA and the Defense Department. Users of the applications will also have a method to report back to the open source agent changes to the software. The subsequent development of automotive technology was rapid, due in part to the hundreds of small manufacturers competing to gain the world’s attention. What we saw was the start of an international, industrial revolution as well as a struggle between automobile manufacturers for commercial dominance that is still fought today. As a result of greater competition for customers, and customers’ greater demand for innovation, car buyers now have an infinite number of brands, makes, models and pricing options to choose from to meet their individual needs. Hadoop is open source software that allows companies to store data on clusters of cheaper servers and run software very quickly on top of those clusters. It organizes and prioritizes data, so often-used data is pushed to the top of the stack for easy access. Along with the organization, Hadoop uses a graphical user interface and heat maps to help data managers monitor usage and locate problems. The software also offers analytics for companies that want to watch their data to spot emerging trends. SSL Certificates: What’s Left to Trust? US forces had committed a heinous war crime during a house raid in Iraq in 2006, wherein one man, four women, four children, and one infant were summarily executed, a State Department diplomatic cable released last week by WikiLeaks revealed. The cable excerpts a letter written by Philip Alston, Special Rapporteur on Extrajudicial, Summary, or Arbitrary Executions, addressed to then Secretary of State Condoleeza Rice. American troops had approached the home of Faiz Harrat Al-Majma’ee, a farmer living in central Iraq, to conduct a house raid in search of insurgents in March 2006. “It would appear that when the MNF (Multinational Forces) approached the house,” Alston wrote, “shots were fired from it and a confrontation ensued.” Afterwards, “troops entered the house, handcuffed all residents and executed all of them.” Mr. Faiz Hratt Khalaf, (aged 28), his wife Sumay’ya Abdul Razzaq Khuther (aged 24), their three children Hawra’a (aged 5) Aisha ( aged 3) and Husam (5 months old), Faiz’s mother Ms. Turkiya Majeed Ali (aged 74), Faiz’s sister (name unknown), Faiz’s nieces Asma’a Yousif Ma’arouf (aged 5 years), and Usama Yousif Ma’arouf (aged 3 years), and a visiting relative Ms. Iqtisad Hameed Mehdi (age 23) were killed during the raid. The US embassy expected money to change hands in Philippine Congress before it granted a franchise to a consortium in 2007 to operate the Philippine National Transmission Company (TransCo), a cable published by whistleblower group WikiLeaks said. For the past two decades, according to a whistle-blower at the SEC who recently came forward to Congress, the agency has been systematically destroying records of its preliminary investigations once they are closed. Goldman Sachs(GS), Citigroup(C), JPMorgan Chase(JPM), Bank of America(BAC) and General Electric(GE) all rank in the top 10 organizations in terms of their campaign contributions to a special Congressional committee charged with finding ways to reduce the deficit, according to MapLight.org a nonpartisan organization that studies the relationship between money and politics. 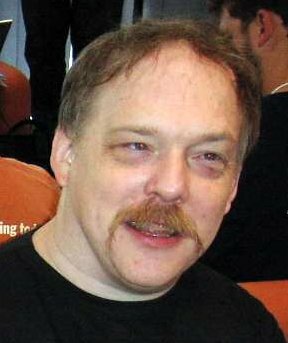 TECHRIGHTS has a small repository of information about what Microsoft did to Borland. This predates this site . The short story is, Microsoft abused its monopoly power to crush a smaller competitor, taking away from Borland some of the key people. It’s a form of monopoly abuse that reduces competition and enables Microsoft to boost prices, reduce quality, and lock everyone into Microsoft products (not just development products). Can you tell us more about yourself, where you come from and your background? Depending on the circumstance, the answer may vary. I am currently involved in a handful of activities, ranging from programming to fitness. But I see myself primarily as a science and technology person, whose main passion is commenting on what’s observable and explaining matters of interest to other people. When was the first time you came to know about Free Software, what attracted you towards it? I had used GNU/Linux my entire adult life, but GNU philosophy only came to my attention when I worked on a development project largely based on GTK and GNU tools. I was attracted to it for purely pragmatic reasons; it gave me a lot of freedom or control and later helped me a lot with my Ph.D.
You are more on the philosophy part of Free Software, are you a pragmatist or idealist? A bit of both. These are not mutually-exclusive and those who claim otherwise are presenting us with a false dichotomy. My detractors paint me as an idealist, whereas in my technical writings I mostly emphasise the pragmatic benefits of sharing software (and keeping it in circulation rather than boxed). There is a rift between RMS and Linus, when I met RMS I asked the reason he told me. What do you think is the bone of contention? Linus Torvalds chose the GPL for pragmatic reasons, just as many (and perhaps most) Free/open source developers choose the GPL. It is a good licence that incentivises participation, protects the interests of developers, and arguably speeds up development by its nature of transparency maximisation. In my conversations with Torvalds the recurring argument had something to do with software patents and the GPLv3 — a subject that Dr. Richard Stallman is trying to tackle. Despite overlap among financial backers, Torvalds and Stallman have points where they disagree. They are finding ways to find the commonalities though and these days they hardly ever argue, and that is good news. Infighting between Linux and GNU is unfruitful. How have you gotten involved with FOSS advocacy? Advocacy started when I first re-entered USENET, partly as means of passing time while running some experiments or compiling code. It did not take long for me to join Linux newsgroups and help with technical issues. Soon thereafter the newsgroups’ participatents were harassed by anti-Linux trolls, who in turn led me to the Linux advocacy newsgroup where I got increasingly involved. What was the inspiration and goal behind Boycott Novell? Did you run any project before that? The site was intended to pressure Novell to revoke or gradually cancel its patent deal with Microsoft. That was back in earlier days, right after the deal had been signed and Bruce Perens set up a petition. In later days, as Novell was clearly not going to escape the commitment to hundreds of millions of dollars from Microsoft (in exchange for favours), we identified several other sources constituting a threat to GNU/Linux. 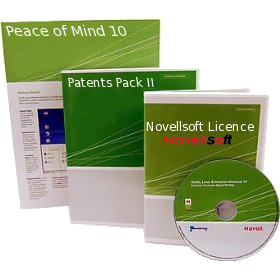 Novell and software patents were primary among those (Microsoft recently got nearly 1,000 of Novell’s patents). Regarding projects, yes, I did run some projects before that. When and why Boycott Novell transformed into TechRights, what is the new goal of the site? In 2009 or thereabouts, following a DDOS attack that had us offline for several days, we were already focused on Microsoft more than we were focused on Novell. To properly operate and have an aptly-named ‘umbrella’ we needed to rethink the strategy. Some readers, however, insisted that we keep pressuring Novell as it was still a considerably serious threat. It wasn’t until a year later that a Novell sale seemed imminent, so we made the necessary changes and put Boycott Novell under the Techrights umbrella. We write a lot about controversial issues (criticising Apple, MS, Oracle and Mono) and some friends call us biased, how do you see living with that tag? “Biased” is a word people use to describe one whose convictions are strong and vocal. In order to appeal to the opposition and get one’s point across, one might choose to use subtleties and even humour, even for the mere appearance of being “objective” (“fair and balance” as Fox News laughably calls it). The art of communicating or engaging with those on the other side of the fence is a tricky one. But it can also be an exercise in futility when the ‘opposition’ of a dyed-in-the-wool proprietary software proponent, e.g. Microsoft MVP. People who call you “bias” to discredit a claim are probably not fence sitters, i.e. these are people whom you may never have been able to convince in the first place. The use of the word is a shrewd attempt to discourage fence sitters from assessing the opposing point of view. To be labeled “bias” may sometimes mean that you are effective at what you do. Being called “libelous” is another matter altogether. What is your opinion about tech media houses. Do you think they present an unbiased picture? That is a very broad subject which can take hours to tackle. I myself used to write for an online magazine (no longer published in paper form) and I saw how editors remove paragraphs that — while truthful — are not beneficial as means of attracting advertisers. It’s not that these were abrasive, it is just that they deal with criminal activity, which to many is the elephant in the room or even a taboo subject (associated high risk to one’s job). A notable problem we have in the corporate media these days if that if it’s not profitable, it will perish, no matter the importance and accuracy of the expressed idea or the subject matter. When the media puts business before information, we become susceptible to biased priorities, which is also why we continue to have all sorts of disinformation outside the field of computing. If it sells (i.e. high ratings), it will get covered more, irrespective of accuracy or importance. Those who stick to the truth often fail to attract advertisers, writers, etc. and therefore they cannot survive and we never hear about them again. One has to distinguish between something like an academic journal and a news journal like the New York Times or the Wall Street Journal. Their paradigm is different and putting aside corruption at Elsevier (pharmaceutical companies planting papers in there, as though they are peer reviewed), the accuracy there is high and the revenue comes from reward for accuracy, which determines whether a library will stock it or pass it by, weather the impact factor (based on citations indices) will improve or drop to the levels corresponding to obscurity. There are many different approaches to selling bias (e.g. PR, lobbying) and also to providing alleged information (e.g. analyst reports, endorsements). One approach which we emulated when we sat on a pile of thousands of court documents showing Microsoft misconduct is the Groklaw-type approach. Then there is Wikileaks with its notion of “scientific journalism”, wherein it provides raw material (redacted nonetheless) to support the allegations, thus respecting the readers’ right to audit and validate what they are reading. A lot of news sites that emulate old-style newspapers (usually a succession) contain no bibliography, links, and not ever cross-citations that help verify the claims independently. They make poor use of hypertext and a vast web of knowledge. Sites must not be autonomous anymore; sharing is required for higher quality (sometimes referred to as open source intelligence of crowdsourcing). Apple spends billions of dollars on advertising, in order to sell commodity at a highly inflated price. One way to perceptualise advertising is that a company pools some budget and then channels it down PR agencies, trickling this allocated sum all the way downwards to journalists and bloggers (e.g. free gadgets for ‘assessment’). The mainstream media (I call it corporate media) does a fantastic job given its goal, which is to increase its revenue. Some of the bribery of the media comes through advertising contracts, which are in some sense analogous to what came to be called the ‘”analyst tax” (a price to be paid to analysts to ensure they are on the payer’s side). The Techrights community has identified and amassed a large volume of hard evidence to solidify these claims. I recently had to confront IBM PR people on the phone for over an hour, as they too — just like Microsoft — try to seed positive coverage while not being visible to the outside world. The PR industry can truly corrupt investigative journalism sometimes, but then again, in academia it is grants of a commercial nature that often lead to similar corruption (strings attached explicitly or implicitly, through future prospects). People must embrace critical thinking skills and always question what they are told, what vested interests are at play, and whether claims can actually be verified. These are often left hidden — an absence which endless repetition cannot compensate for. Over the years I have had to confront many PR agencies and sometimes reported them to the FTC, which needless to say only responds to a volume of complaints (based on their letter back to me). The FCC is equally clawless and toothless and it won’t do anything to challenge those who collude, bribe, and generally step out of line. By outsourcing these dubious activities — either to countries with weak regulations or to a peripheral agency — liability remains weak. It is essentially an exploitation of loopholes in the law and it’s everyone who suffers from it. I quite admire some nations’ regulations that ensure citizens remain well informed, but these nations are few and as media converges across nations (especially because of the Internet), signal gets lost in the noise, which is by far better funded (PR transcends advertising where there is disclosure). I see sometimes authors who pretend to be FOSS users try to show how bad FOSS is, do you think that’s genuine experience or they are proxies to weaken FOSS? These types of provocations cannot be reliably countered without knowing the background of the writers and their real agenda. To give one actual example, a few years back Microsoft sent some Microsoft reporter on an expedition to Brazil, whereupon she met a Gartner analyst (Bill Gates is one of the funders of Gartner and Microsoft one of its biggest client) who started giving her talking points against GNU/Linux, in order for her to publish those in CNET. This sort of strategy helped counter the huge growth of GNU/Linux in this massive country, boasting of the world’s largest populations. That is just one example among many. Based on my research I have been trying to teach people who is who and what agenda they really have (based on my reading of their many previous articles). It should be no surprise that Microsoft sends freebies like laptops to some people who leave comments favourable to Microsoft in widely-read sites like CNET and ZDNet. These too need to be named, even though they keep changing names (even genders) to evade bad reputation and gain credibility, at least temporarily. There are couple of fan sites like OMGUbuntu which seem to miss the point why they exist. They endorse everything that is bad for the health of Free Software, what is your opinion about such sites? OMGUbuntu is generally a decent site. Its target audience is people who are new to GNU/Linux and are usually young (which tends to repel some older people who frequent the site). I had some disagreement with the site when it gave a podium to people who promote Mono and also have an undisclosed vested interest in Mono’s success. Thankfully, Mono seems to be going the way of the dodo now. I am not familiar with those people, but I do know that several sources, such as the BBC, are far from objective and therefore they tend to mention Android only when it has bad news (in which case the BBC misreports it too). Needless to add, a few years ago many former Microsoft UK executives joined the BBC, which whether they intend to or not, will likely result in bias (tinted glasses vision). It is gratifying to see many pro-Android sites mushrooming, probably outnumbering or outweighing by now the impact of so-called Linux sites. Android can be viewed as complementary to Linux and it is freer than other Linux-based operating systems such as WebOS. The way to counter the Linux-hostile media is probably to outgrow it. It should be perfectly acceptable to criticise it as well. Through scrutiny the editors and author will get the message that they must straighten up their act and be more honest. We do publish about non-free apps for Android, to keep users informed that Android as a platform has everything, or even more, than what iOS has. It conflicts with our philosophy of not promoting non-free applications. Desktop users do care as they chose Linux for freedom aspect Mobile users just want a good phone that works. But if we don’t write about such apps, we can’t convince people that Android is better than Apple. They are already bombarded by Apple’s propaganda machine. What is your opinion? I have had a similar dilemma. About 3 years ago I was occasionally told by readers that I promoted proprietary software in my daily links postings (for example, an announcement of some proprietary package coming to Red Hat servers). Some people are more upset by this than others because it helps proprietary endeavours gain at the expense of free/libre counterparts (where the workable surrogate exists). So I created a subsection designated to “Proprietary”, where it is clearly indicated that the said package is non-free (as in not freedom-respecting). While the talking point about version numbers is based on valid concerns, it is being vastly exaggerated, often by those whose agenda is to promote Microsoft (i.e. IE). Chrome has been sticking with version bumps of 1.0 for several years and hardly anyone has complained. Numbers are there for marketing reasons nowadays, perhaps more often than not. Firefox 5 is mostly backward-compatible, so not even for plug-in developers — let alone enterprises — should the version number be much of a consideration or cause for doubt. I anticipate FUD about Linux going “3.0″ — FUD that has already begun and needed to be countered before it spread further. By ridiculing the lies early on we can suppress their continued spreading. Journalists prefer not to perpetuate claims that have already been debunked to death as it would make the journalists look foolish, gullible, or dishonest. In my humble assessment, the community has done fantastic work over the years addressing Linux myths, which forced the enemies of Linux to shift to a new FUD strategy, principally centred around software patents and their effect on Linux/Android. How do you see the situation of Software Patents changing? Are the lobbyists winning? They win some battles, but they have not won the war because software patents are only legal in a handful of countries. We need to ensure that our legislators understand who is lobbying for whose pocket and what the public opinion really is. It is similar when it comes to copyright law. There is a major disconnect between what the public wants and what the government actually implements, usually in order to align with foreign laws that mostly serve few super-wealthy corporations and their clients. There are attempts to tame lobbyists by enforcing disclosures (lobbyists like to avoid questions about their clients to the extent that they can legally get away with it), but these are mostly futile because they are typically not obligatory, so the underworld of influence for sale will continue to thrive, unless we are willing to investigate and publicly expose the culprits. An exposed lobbyist is significantly weakened as no companies will wish to be associated with him/her. When coming across a pro-software patents view, be sure to check if the source is in the business of patent law (patent trolls, patent lawyers etc.) or a large corporation with a vast arsenal of patents whose aim is to provide protectionism, i.e. impede competition. The lobbyists of these companies are harder to spot and they typically pretend to represent the opposition of who they really serve. Microsoft has those types of lobbyists in Europe, e.g. ones that pretend to represent small businesses while in fact pushing Microsoft’s agenda everywhere (while on Microsoft’s payroll). It’s the same tactic some big polluters and the tobacco industry use extensively. What are the chances are that Google form an alliance along the lines of Open Handset Alliance — Android Patent Group (I hate the idea of patents at all so a bit conflict here) so that they can defend smaller player from getting exploited by Microsoft/Apple and also amass enough power to discourage any attack on Android community? The strategy was attempted by OIN already. I am not a believer in OIN, whose main backers — just like those of the Linux Foundation — are also proponents of software patents (IBM and Intel for instance). Their work helps legitimise some software patents rather than eradicate the problem at its root. Peer to Patent suffers some similar problems. One must also bear in mind that patent pools cannot deter a patent troll, which while lacking any real products simply cannot be counter-sued. There is no deterrence there. The only long-term solution is elimination of software patents (preventing their spreading to other countries would help too), but this is a monumental task as companies worth trillions of dollars (aggregated value) are working against us all the time, sometimes behind the scenes. We must unionise, e.g. gathering the power of small businesses, and also consider exposing those who betray the public by representing multinationals/monopolists at taxpayers’ expense. Politicians, for instance, can be shamed out of outrageous stances by showing their voters the extent of betrayal. Many people already shy away from software patents and Mono (they are aware of the controversy), so this strategy is effective. One might say that public perception leads to self-censorship, but in this case the ‘censored’ opinion is one which mostly arrives from 1% (or less) of the population with the self-serving brainwash that they pay for dearly (they sure can afford to). How do you see the Android eco-system? Some companies had to sign deals with MS for so-called Linux patents. What do you say about such deals? Where do you place Samsung one of the leaders of Android ecosystem, they had a deal with Microsoft in early days? Yes, I called for a boycott of Samsung way back in 2007 when it was the first company of its kind to pay Microsoft for unsaid patents relating to Linux. Back then, people could choose between a lot of Linux-based phones, so putting Samsung in a mental blacklist (out of the list of consideration) would not be a major loss. Currently, Microsoft targets mostly tiny companies whose use of Android I did not know about. Microsoft is desperately trying to pave the way towards universal ‘Android tax’, which gigantic companies like Sony would not be so willing to pay. Microsoft got a bit of a shock when it tried suing Motorola for refusing to pay for Linux; Motorola, in response, sued the hell out of Microsoft and also threatened to have some of Microsoft’s products banned from the United States. Microsoft now faces the possibility of losing some of the patents it allegedly uses to shake down Android-using companies. Microsoft met a similarly-shocking opposition/antagonistic experience when it failed to extort Barnes & Noble. Instead, the documents (under NDA, albeit conditionally) got out of hand and they can now be used as evidence to prosecute Microsoft for racketeering, under the US RICO Act. Microsoft is treading in dangerous territories and its recent extortions are very symbolic, perhaps high in number but very low in terms of magnitude. I predict that many of the remaining Microsoft mangers will leave the company when they realise that they work for an aggressor, not a creator. Watch what happened to Unisys. Since 2007 or thereabouts I have been tracking Microsoft quite closely. I kept track of products it axed (about 60 in just 2.5 years) and top managers who left (almost everyone but Mundie and Ballmer is gone). When Apple surpassed Microsoft in terms of market cap (IBM recently did too) I left Microsoft aside, but I do recognise the fact that it will remain a patent parasite for a good while to come. The writings were on the wall in 2006 when we sent out early warnings and encouraged people to abolish software patents. It is worth reminding ourselves that the attacks on Linux/Android are evidence of a win. Google recently confirmed this by claiming to have gone past half a million Android device activations per day. Microsoft used to ignore and then just laugh at Linux. It really started to threaten Linux in June of 2007 and in 2009 it started attacking (suing), choosing TomTom as the first lawsuit target — yes, TomTom, which was already in financial trouble (and thus less inclined to sustain a fight in court). I am fairly convinced that Android will overcome the patent attacks from Microsoft, Apple, and some of the patent trolls (which are sometimes tied to those). But in order to defend the customer and keep Android free we must carry on fighting against software patents, which are morally and practically unjust. They also put in jeopardy the good work of GNU and the FSF. Mono. We were concerned about Mono from the very beginning and opposed Canonical’s decision to make Banshee the default music player. Now Mono is in a limbo. Do you think communities like Banshee feel betrayed? Has mono betrayed all those Free Software developers who wasted their time in building on top of Mono? What future do you see of Mono? What is your opinion about Oracle as an open source company? Do you think the contributions of the company are greater than the damage it has done to the FOSS world? Do you think Oracle is a friend or foe of FOSS community? Microsoft corruption has been quite rampant in India and over the years we have covered many more examples where Microsoft lied, misused the courts, and avoided tax (it was convicted of that too). One area where Microsoft has been less successful is Kerala and another — to a lesser degree — is Tamil Nadu. We have received documents (see final [PDF] and another version [PDF]) that show that there too Microsoft has managed to lobby and distort tenders/bidding processes, according to our sources. Swapnil Bhartiya dud a lot of the work highlighting the distortion. He also shows how and what was changed, so we need not do this again. 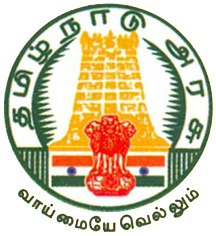 “Tamil Nadu government is giving freebies as per their election promise,” wrote to us a local. “They are giving 900,000 laptop in first phase. 1. The government will buy around 1 million Microsoft Windows licences. 2. Government has blocked ‘all’ competitors such as Canonical, Red Hat, SUSE and other independent vendors which develop Linux based operating systems from bidding for this huge tender. 3. Government has chosen expensive and insecure Windows, over free and open source Linux which is much more secure. 4. Government has decided to train 1 million students in Microsoft products instead of Linux and open source. 5. The Tamil Nadu government has refused to support the local economy by blocking local vendors who could offer services around Linux and went in bed with a US based company. Why does the government even need to advertise the tender when it the end the corruption will find its way and the order will go to the favored party, blocking competitors. Will the government explain why it removed Linux and made the tender exclusive for Microsoft Windows? We need more Anna Hazare to bring an end to the deeply rooted corruption in the Indian system. iSuppli has detected a huge oversupply of big RAM for those hair-driers. … Price drops for RAM are predicted to be about half over 2011 and two thirds since 2010. This is a good sign that Windows 7 is not selling. [non free developers use] V.i. Labs code to track when an installed application shows signs its a pirated copy. The data collected makes a record of what organizations in China are using unlicensed copies across how many different PCs. … [if the company does not pay up another firm will send] private investigators to go undercover and infiltrate companies that are allegedly using unlicensed software. The investigators will then supply whatever information they find to Chinese government regulators, which have the authority to conduct investigative raids. People should use free software instead of nasty spyware owned by thugs who want to raid people they suspect of sharing (please don’t call it piracy). Do the lawsuits make more sense now? Google’s +1 button draws out more FUD. That much is true, as can be seen from what happened to Slashdot. Forbes had a critical article but pulled it and removed it from Google’s cache. It seems big media is torn between FUD for Google and a tool that gives them another tool against democracy. The Wired article also has silly anti-trust concerns, which ignore the more devious cooperation between Microsoft and Facebook. AT THE beginning of the year OpenSUSE was made the property of Attachmate and at the end of last month it was made the vassal of Microsoft. The purpose of SUSE, which uses the “Open” as a recruitment tool for volunteers, is to spread Microsoft tax. That’s why Microsoft has seeded funds in the project almost every 2 years since 2006 (at least $100,000,000 at each time, serving the interests of Microsoft shareholders as it’s obliged to). As a former SUSE fan I am saddened to see how the project was crushed. It was probably the best GNU/Linux desktop distribution at one point. Remember SLED 10? XGL? Wyse also introduces two new SUSE Linux-based thin clients and reveals integration with the Big Three hypervisors. As we explained over the past week (e.g. in relation to Microsoft’s deal in China [1, 2, 3, 4]), Microsoft uses its virtualisation deal with Novell to basically add Windows to environments which were GNU/Linux only. Microsoft does the same thing in HPC. So the purpose of SUSE is really to make Windows and Microsoft tax (on GNU/Linux) more widespread. That’s why Microsoft is willing to give SUSE so much money. THERE IS news this week about SCO’s defeat which Sean Michael Kerner, Pamela Jones and others who are familiar with the case have covered. Well, as noted in Slashdot, Attachmate has reaffirmed its grip over UNIX, which basically means that nothing has changed and the virtual assets remain where they are arguably safer. The coverage from Utah’s press (sometimes pro-SCO) says that SCO lost the copyright case in this age where emphasis is being put on patents in the fight against GNU/Linux and Android. A federal appeals court has upheld a jury verdict and a lower court ruling in a trial that found Novell Inc. — not The SCO Group — owned the copyrights to the Unix computer software operating system before 1995. The U.S. 10th Circuit Court of Appeals upheld the jury’s verdict from last year in a lawsuit filed by SCO in 2004 as part of its broader efforts to sue IBM over alleged use of Unix code as a model for parts of the rival Linux operating system. The court upheld the verdict against SCO, saying “ample evidence in the record supported the jury’s verdict and Novell’s position.” It also upheld rulings in Novell’s favor by U.S. District Judge Ted Stewart, who presided over the trial. This is all very nice. However, to lose sight of the fact that Novell is now being used by Attachmate (via SUSE) to pay Microsoft for GNU/Linux regardless of copyrights would not be wise. The main problem has shifted along with Microsoft’s strategy.